According to the American Dental Association, a pediatric dentist will study the development of teeth from infancy through the teen years. Babies, toddlers, school-age children, and teenagers experience different growth phases and have different needs for their oral health care from adults. A dentist with post-graduate training in this specialty can often provide a more comprehensive approach to treatment to meet those needs. Mouth Healthy, a public service of the American Dental Association, lists several concerns that are unique to younger dental patients. Beginning with babies, parents need to be aware of the specific oral care required for children. For example, babies who drink from bottles can develop baby bottle tooth decay if parents do not properly clean their teeth. Young children may develop a habit of sucking their thumb, which can contribute to poor oral hygiene. Children who have trouble with teeth grinding may need specialized care. And children have specific dietary needs that serve their need to develop strong teeth and gums. 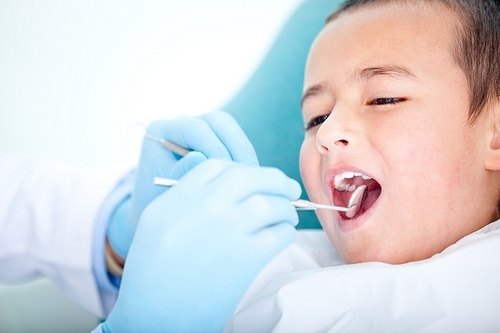 If you have young children, consider our pediatric dentistry office. At Morrow, Lai & Edwards Pediatric Dentistry, our specialized care for young patients features a caregiver with the knowledge and training to provide your children with the best possible care.